Congratulations! You’ve found Prince Edward County's best room deals and the best place to stay – The Waring House – we're at The Heart of Everything County. We currently have two exclusive premium room, premium hot tub, and premium suite deals that even online hotel booking sites CAN’T BEAT! To take advantage of these deals, you must simply book with us over the phone. These great deals can be booked any time, with stay dates from January 15th, 2019, to May 12th, 2019. Subject to availability. 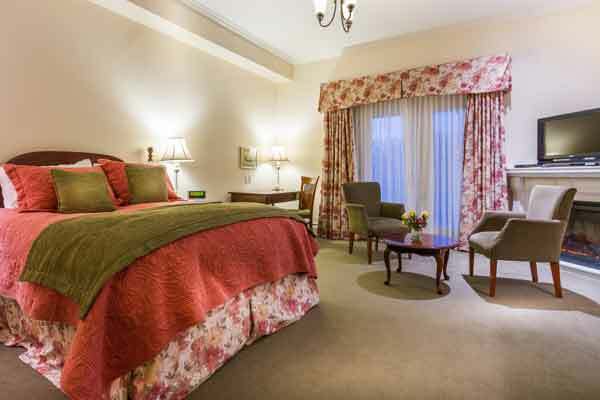 Book any two consecutive days (starting on Sundays) in a premium room, and add a third day for 50% OFF the room price. Book Sunday-Monday, add Tuesday at 50% OFF. Book Monday-Tuesday, add Wednesday at 50% OFF. Book Tuesday-Wednesday, add Thursday at 50% OFF. Add a Day and Save! All room rates include breakfast for two. We also offer gluten free, vegetarian and vegan menu options. *These offers are in effect when you stay at The Waring House Inn between January 15th, 2019 and May 12th 2019. Premium room, Premium suites and Premium rooms with private Hot Tubs go quickly, so please book soon. Limited time offer. 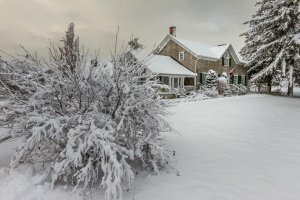 Winter in The County - There's Lots To Do! Hiking, Ice Fishing, Cross Country Skiing, Snow Shoeing, Snowmobiling, Skating, all withing minutes of The Waring House. In fact, our property sits at the edge of The Millenium Trail, which extends from Picton to Wellington. Trails are groomed and well maintained. Equipment rentals are available nearby. There are about 40 wineries in PEC operating out of rustic and historical old barns to sleek modern facilities. Pinot Noir and Chardonnay are favourites to grow here as these varietals thrive in our climate and terroir. But you won't have to travel far to find Cabernet Franc, Riesling, Gamay, Pinot Gris, Baco Noir, Merlot and others. Treat your taste buds to something new - that's the great thing about a County wine tour. Most wineries have limited winter hours mid-week, but most are open on weekends. *These offers are in effect for when you book and stay at The Waring House Inn between January 15th and May 12th, 2019, 2018. Our LIMITED TIME OFFERS apply to all Premium rooms and Suites. 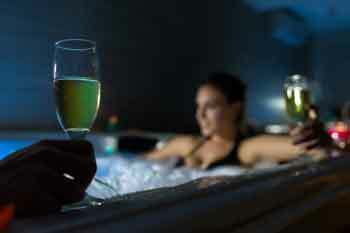 Premium rooms with private Hot Tubs go quickly, so please book soon. Rates quoted are based on single or double occupancy. There is an additional charge of $30 per person for third and fourth adult guests (ages 13 and up) in a room. An additional charge of $20 will be applied for children, ages 3 to 12. Children under 3 are free. These charges cover additional breakfast and laundry costs. CAA discounts not valid with this or other offers or package deals. Please note that on long weekends, where Monday is a holiday, Sunday night stays are priced at the weekend rate and a two night minimum is in effect during the high season, mid May to October 31st. Offers subject to room availability – book soon! Not applicable in conjunction with corporate rates.